AOP member Wendy Carrig is an established fashion, beauty, lifestyle and portrait photographer. She's been heavily involved with the creation of the magazine Perfect Bound, a magazine that launched this Autumn. HOW DID PERFECT BOUND MAGAZINE COME ABOUT?? It started as a chance conversation with friends around a kitchen table; all of whom had worked on, contributed to, and enjoyed a lifetime love of magazines. We harked back to the teen mags and fanzines that had excited us in our youth and wished for a grown-up version with deeper meaning and purpose. We felt that magazines had changed so much over recent years and editorial no longer meant editorial. So we harked back to a pre--Starbucks age and decided to create our own magazine that we hoped would intrigue and inspire in the style of old Sunday supplements. Our name was deliberately chosen to celebrate the printed artefact. 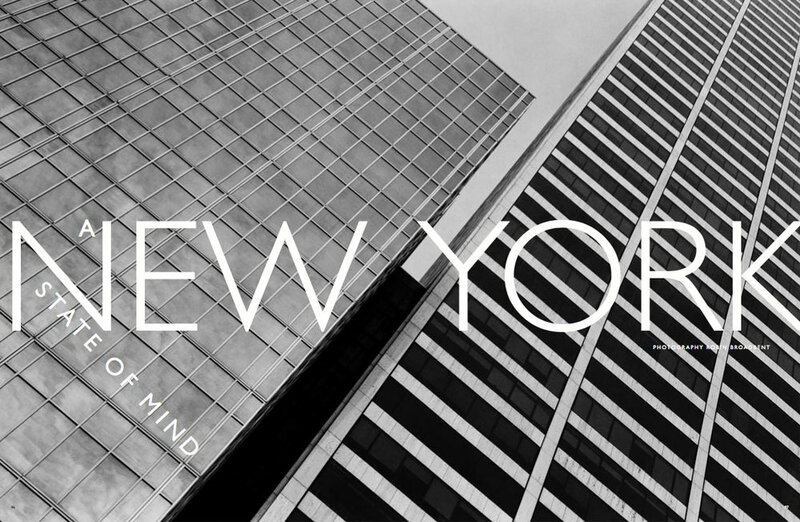 Our motto, 'for curious minds'. How did you go about it, having the initial idea to launching it at the party? It took about eighteen months from the initial idea to launch; time spent planning, commissioning, producing, shooting, setting up systems of work flow and communications - we all work remotely and rotate meetings at each other's homes - appointing and working with printers, distributors and web designers. 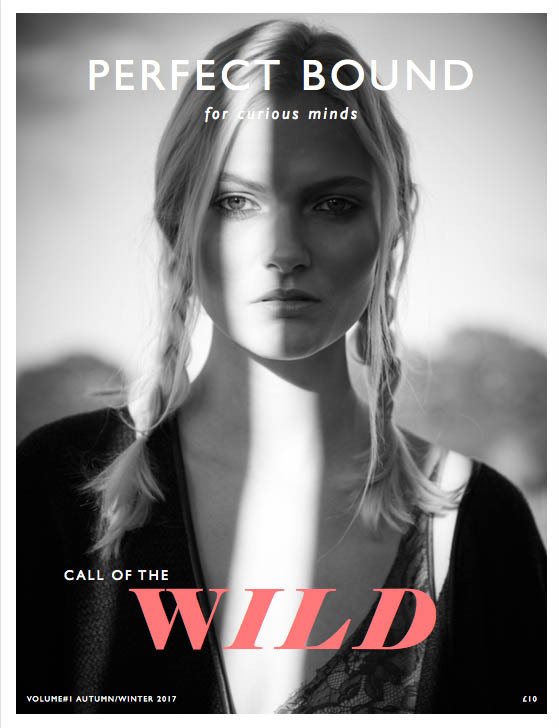 We decided each edition should be themed - volume#1 is 'Call of the Wild' - and contributors were invited to interpret wildness in their own way. Most of the content was created by the core team, but we also invited guest contributors - photographers, writers, artists and stylists. When we asked the composer and producer Nitin Sawhney if he would like to contribute an opinion piece for Perfect Bound, we invited him to write on any subject of his choosing with our promise to publish his work uncensored and uncut, allowing him complete freedom of expression. The painter Cathy Lomax wrote about how women have traditionally been viewed in Hollywood accompanied by a set of new paintings of actresses; and still life photographer Robin Broadbent responded with a striking gallery of black and white architectural photography of New York. All contributions exclusive to Perfect Bound. In short we have been overwhelmed by the response of talented contributor's wanting to be involved in our project, appreciating a new platform for creative freedom. In a similar respect we consider our publisher to be less proprietorial and more a patron of the arts. As finished stories began appearing in our Dropbox our creative director, Geoff Waring, began the task of designing pages and establishing a unique look and style for Perfect Bound. Both he and our editor, Karena Callen, have worked together many times over the years and decisions on design, editing, pagination and choice of cover were made with apparent ease. It was a surprisingly shuddering moment when I saw the first copy - with the feel of 'proper' paper and the smell of printer's ink all in a perfectly bound publication, it really was more than we could have hoped for. Our launch party on 2nd November was our opportunity to officially introduce Perfect Bound to the world, and the response on the night from our guests was overwhelmingly encouraging - people were genuinely interested in what we had produced and, like us, were excited for the arrival of a new-style magazine. A few months prior to launch we began establishing Perfect Bound on social media, and to date this has been our only form of advertising; so far we have relied mainly on Instagram and word of mouth to get our message out. A month on from our launch and Perfect Bound is being sold in Selfridges, The Tate Gallery bookshop, Barnes & Noble outlets across the US, and at select newsstands worldwide; and has grown from an idea into a reality. Who are this group of seven? Our small team have changed little since the outset - editor and art director Karena Callen, creative director and designer Geoff Waring, fashion director Shelly Vella, travel editor and photographer Piers Golden, lifestyle editor and educator Sam Hoad and our publisher / patron Daniel Dumoulin. As contributing editor I have had the great pleasure to commission art, photography and writing; and as a contributing photographer I have produced new fashion, beauty and portraiture work, and I also shot the cover. Why publish it now? Is the timing significant? "Does the world need another magazine? After all, the mainstream print media is in disarray, and most of us spend our life glued to one screen or another. People, we're told, don't read anymore, and style - not substance - is what counts, along with how many followers we have and how loudly we can shout. But surely, in the current climate of chaos and confusion, when countries threaten to "erase" one another from the map, it's time for new fresh voices to be raised and heard. And that's why Perfect Bound exists..."
"Two magazines came out this week, one I used to work on (Vogue in the 90's) and one I work on now (Perfect Bound). It is also the same month another magazine I helped launch in 2001 effectively closed (Glamour). I think it illustrates a turning point... Magazines are changing. Everyone appears to love magazines yet they appear to be in terminal decline... The world is in flux and so are magazines... But I think there is one striking similarity between Edward Enniful's new Vogue and what we are trying to do on Perfect Bound. We both had FREEDOM. Perfect Bound's freedom came from tiny budgets and an amazing publisher, Daniel Dumoulin, and editor, Karena Callen; Enniful's came from Jonathan Newhouse and Conde Nast. But freedom allows you to create magazines that are relevant to the times we all live in... Mixing fashion and politics and awareness of the diverse and rich culture we come from... Magazines are not dead they are just having to evolve... Long live magazines!"